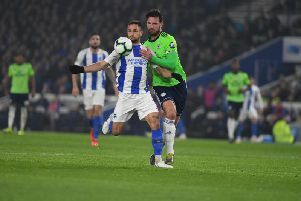 Austrian international defender Markus Suttner is still interesting Albion. The 30-year-old plays for Ingolstadt and the Seagulls have been linked with the left-back all summer. Brighton have reportedly already bid for Suttner this summer but the German side are keen to keep hold of him. Albion boss Chris Hughton said: "He will be one of a few players that interests us but he is somebody else's player and we try to do everything the right way. "He's a name that's been mentioned but is one of a few players we'll have an interest in."